World food production depends on pollination, which is provided by honey bees and other pollinators. In some parts of China, the bees have practically disappeared, forcing farmers to pollinate their crops by hand with feather brooms. 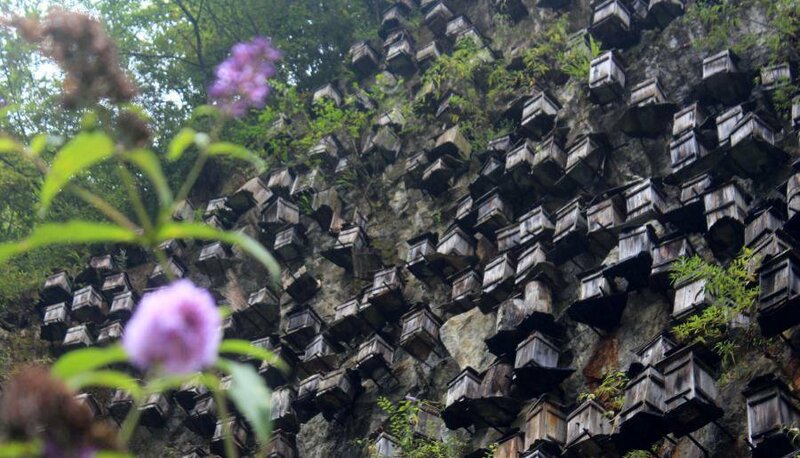 And in the Shennujia Nature Reserve in Hubei Province, in order to increase the number of bees, a skyscraper apiary was created. 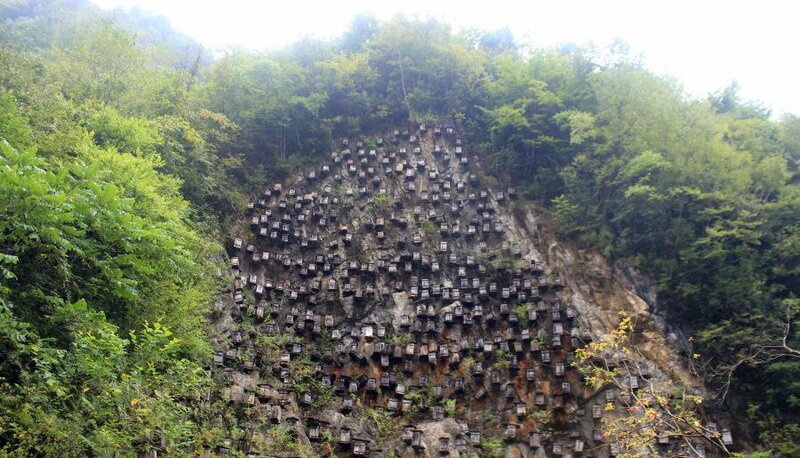 About 700 wooden hives were installed on a cliff at an altitude of 1200 meters above sea level. 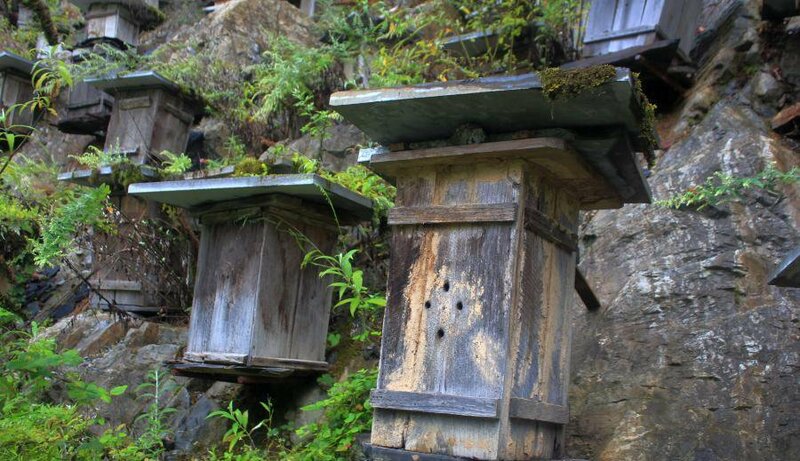 The apiary imitates the natural habitat of wild bees and is intended to attract them to resettlement. 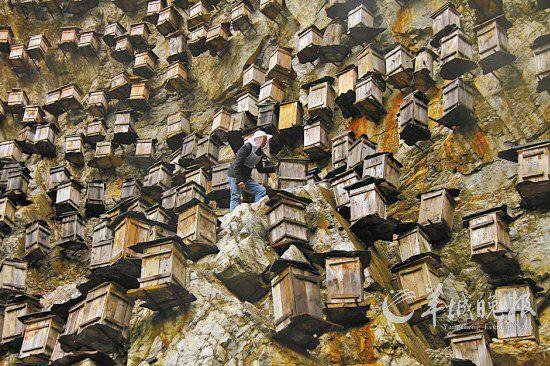 To get the contents of the boxes, in which there are thousands of bees, beekeepers have to choose each one individually. The main factor reducing the number of bees in the world are considered to be neonicotinoids, a class of pesticides that have an acute and chronic effect on honey bees and other types of pollinators. 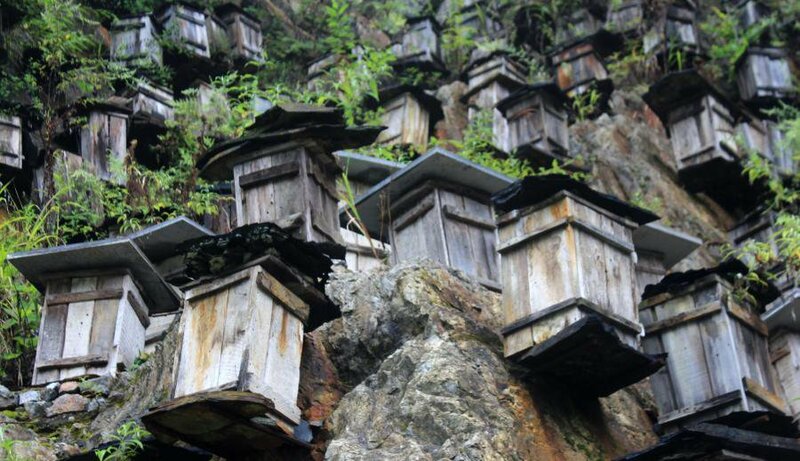 Why build an apiary on a mountain? According to the National Commission of China for UNESCO, the Shennongjia Nature Reserve is unique in that there are several zones in its area with different climates — subtropical, warm temperate, moderate and cold temperate, which provides a rich variety of flora and fauna and a sufficient amount of pollen. About 1131 plant species grow in the reserve, and also 54 species of animals, 190 species of birds, 12 species of reptiles and 8 species of amphibians inhabit.